Advancing careers through meaningful connections and opportunities. Networking Event: Art as an Investment? Peer Advisory Groups are intimate circles of female senior practitioners working in the same specialized areas. These groups, whose members are selected by invitation, provide an effective infrastructure for our more tenured members to engage with one another and leverage collective wisdom, skills, and experience. NextGen Groups provide an educational and social forum for women with up to 10 years of professional experience to build lasting, synergistic relationships. Qualifying members enjoy an open dialogue about their current interests and navigating the challenges of managing a successful career and personal life. 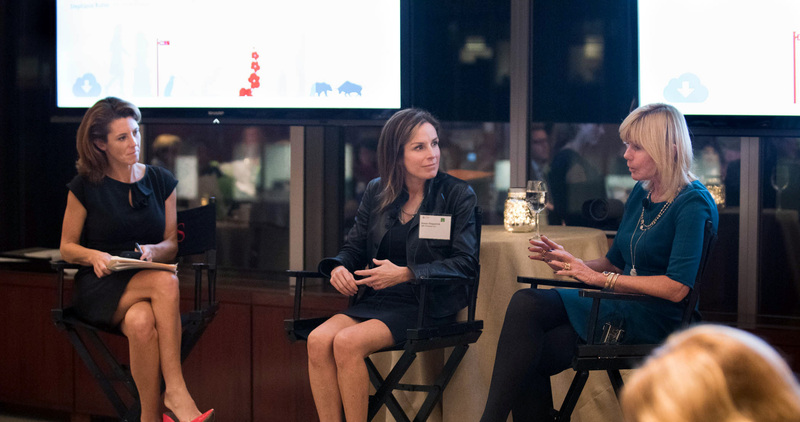 It is no secret that women are underrepresented in finance and alternative investments — particularly at the most senior levels. Our Investing in the Next Generation Initiative aims to reach, inspire, and support young women at high school, university and business school who will become a talent pipeline for the future leadership of the industry. Studies have determined that Fortune 500 Companies with the highest representation of women on their boards of directors tend to achieve higher financial performance than those with the lowest representation of women board directors. Our Corporate / Private Boards Initiative seeks to connect qualified candidates from within our membership ranks with director opportunities. Our job board is a platform that allows our members to connect with elite positions worldwide, from the entry level to the senior leadership ranks.